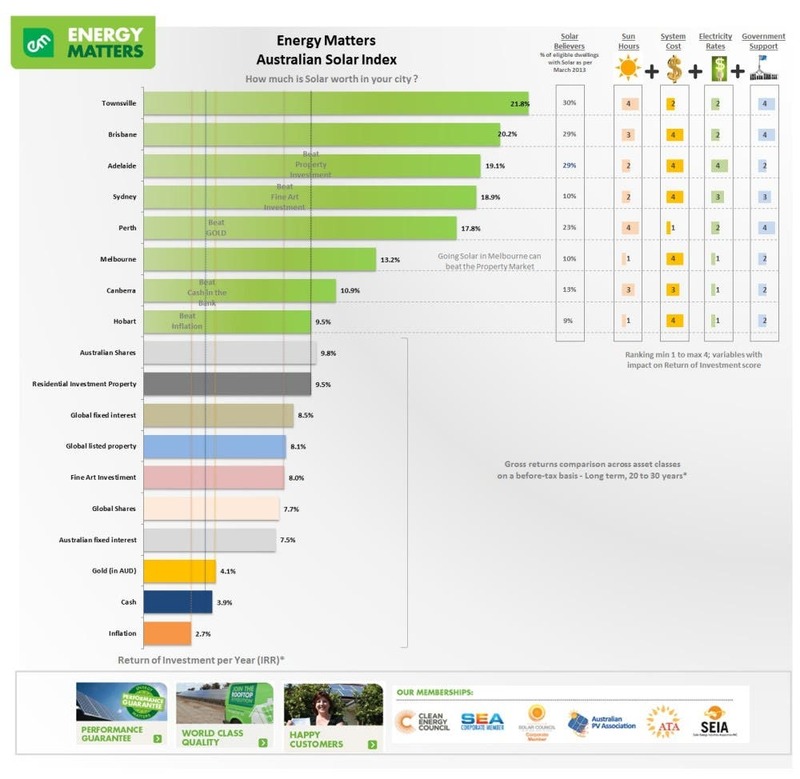 Today’s Graph of the Day comes from leading Australian solar provider Energy Matters, which has released a table that compares the return on investment on rooftop solar in various state, and compares these with shares, property, gold, global fixed interest and fine art. 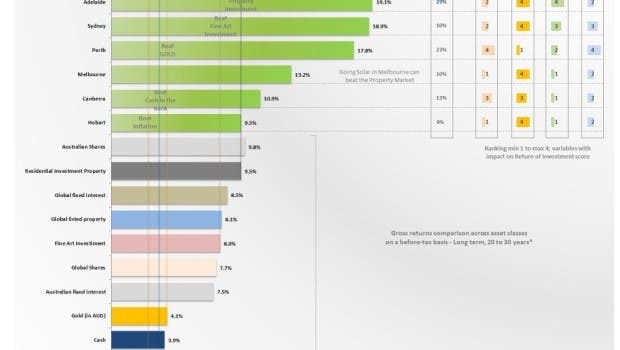 As the table shows, based on the assumptions made by Energy Matters, rooftop solar easily outperforms all other investment options, although the solar returns do vary from location to location. The northern Queensland city of Townsville was rated the location with the highest return (21 per cent), courtesy of its hours of sunshine, the cost of solar PV, the local electricity rates, and the level of government support.